Artists workshop to be held between 4th to 7th of July,2014 at Bachhawat Estate, Madhupur, Barasat, organized by Bachhawat Foundation. Open Window in association with Bachhawat Foundation has collaborated with The Frame, Society of Contemporary artists and Painters 80 to organize a three day workshop from 4th to 7th of July. The noted artist Sri Samir Aich would be coordinating this workshop. The Bachhawat Foundation has been responsible for promoting art and artists throughout the country over the past decade. The Bachhawat Estate has abundant facilities which includes a print making studio to host artist’s residencies. The foundation has previously hosted artist workshops which proved to be a huge success. 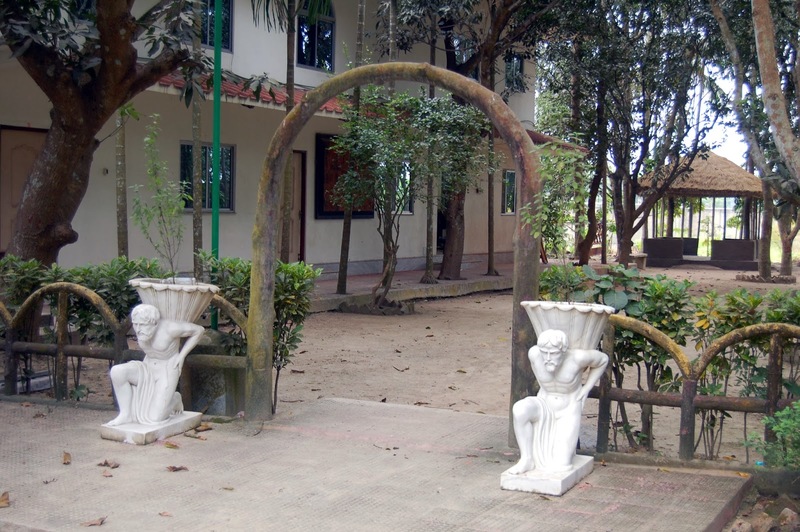 Badu, the existing site for the foundation is a quite hamlet in the north eastern fringe of greater Kolkata. This part of the city still is seemingly unaffected by the evils of urbanization. The peace and the quiet would provide a perfect space for artists to unwind and unleash their creativity. The artists would be creating paintings and sculptures within these three days. The Bachhawat Foundation hopes that this initiative would prove to be a success and a worthwhile endeavor in the field of art. The participating artists include Amitava Dhar, Arindam Chatterjee, Chanchal Mukherjee, Chayan Roy, Diptish Ghosh Dastidar, Gopinath Roy, Hiran Mitra, Dr Janak Jhankar Narzary, Pradip Rakshit, Prasenjit Sengupta, Samir Aich, Sunil De , Sudeshna Halder, tapas Biswas and others.